Today’s Gospel ends with these words from Jesus to His disciples. In many ways, we can read the words almost in an exasperated tone: “I’ve shown you so many miracles, I’ve multiplied fishes and loaves not once, but TWICE, in your presence, in the recent past, and yet you are still worried about the fact that you don’t have enough bread!” In fact, it is clear that the disciples are distracted with the fact that they’ve just set out on a boat with not enough bread, because they totally miss the point of what Jesus attempts to teach them as they set sail. Jesus had just finished what must have been an exhausting exchange with the Pharisees, who were always trying to trap Him in His words or get Him to “hook in” to controversy and take a side on whatever issue they posed. This time they were asking for a sign from Heaven. He refuses to give one because this is not how God operates. Indeed, every sign given was for the sake of showing the way to the Kingdom. Every miracle was not to dazzle people, or just to show His power, but rather it was to show something about Who He is, and what we need to become. He healed. A lot. He fed. He cast out demons. He showed kindness and compassion. He raised the dead. The “leaven of the Pharisees and the leaven of Herod” is precisely speaking of the wrong kind of power, and the wrong kind of living, because it was self-centered and self-seeking. It demanded a sign not for the edification of all or for the healing and building up of those who suffered, but to reinforce “their side”. For the Pharisees, the Messiah would come and vindicate them, up and against those who were not like them. Why do Samaritans show up time and again in Our Lord’s ministry and in His teaching? Precisely to show us something about Himself, and through Him, the clearest picture of the Father. The Messiah the Pharisees were seeking, the superman avenger, was not what they would find in Jesus Christ. They would have to change their way of thinking in order to truly find the God of Abraham whom they claimed to follow zealously. So what about us? Aren’t there so many times when Our Lord could say those same words, “How is it that you don’t understand?” I know, for me, He must say it all the time. How often, when I face something difficult, when I don’t know if something is going to work out the way I want it to, do I doubt God, or worse, get frustrated and anxious that what God provides will not be sufficient? I want God to be a wizard sometimes, to make things right, to grant my wish. But this is the leaven of the Pharisees and Herod. Jesus calls me to be faithful to Him, to learn about how He did things and get up each day and try to do likewise. Sometimes He will remind me of the fishes and loaves I’ve witnessed in His presence – and they are so many, in order to remind me that His Grace is sufficient. How often are we tempted to want God to do something great, to change something in order to make us feel vindicated or right? It is a quite normal tendency for us to cry out, like David, for the Lord to vindicate. But against whom are we asking His vindication and to what end? We were reminded in last Sunday’s epistle reading that our struggle is not against flesh and blood but against the powers and principalities of darkness. Our cry for vindication, for the utter defeat of our enemies must squarely be set against our own sin, and against the enemy who seeks to ensnare us. Our cry must never be against our apparent enemies – people we are in conflict with, people from other nations, people in other political parties, etc. etc. If our cry is for their defeat, death, or damnation, then we are dangerously close to wanting God to be victorious to prove we are right and they are wrong. Jesus didn’t cast out Samaritans, he cast out demons. We mustn’t forget that. 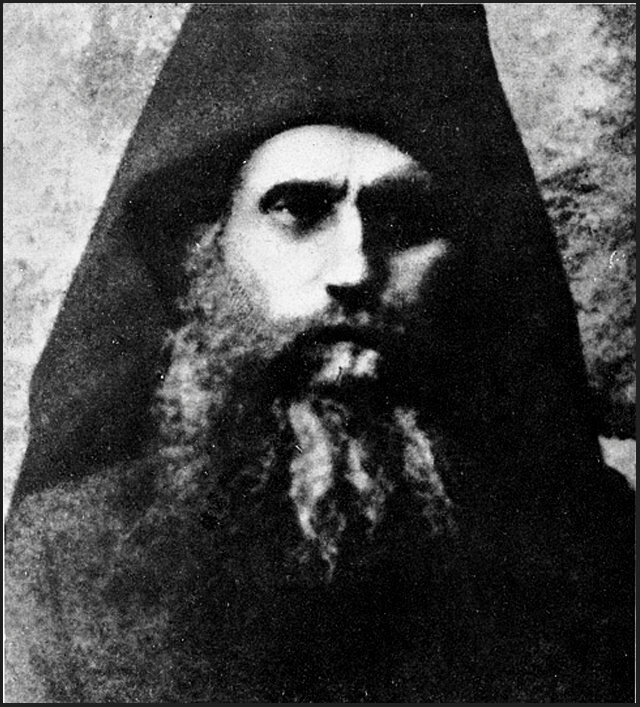 St. Silouan the Athonite. Quote taken from St. Silouan the Athonite by Archimandite Sophrony. SVS Press, 1991.